The Machado de Castro Museum is one of Coimbra’s most famous historical sites. 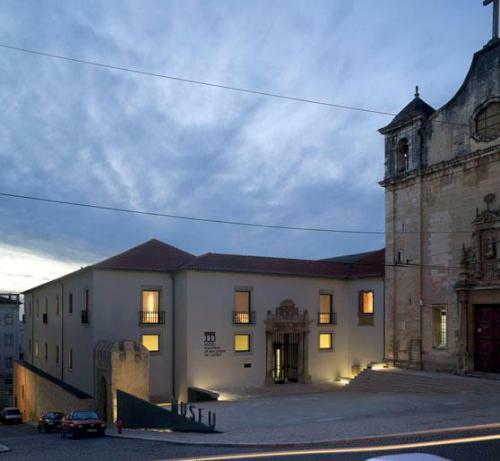 The collection is housed in a former Bishop’s Palace, which was built above the cryptoporticus — the base of the ancient forum in the Roman city of Aeminium, which is now known as the modern-day Coimbra. These Roman remains date back to the first century AD and are considered to be the most important surviving Roman site in Portugal. 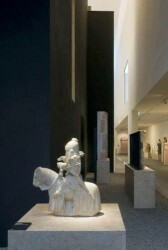 The lower floors of the museum are dedicated to these remains, providing a unique insight into the history of this important Roman cultural and administrative centre. The history of the site is fascinating in its own right. Above the Roman remains a Christian church stood until at least the 11th century, the remains of which can also be seen on site. 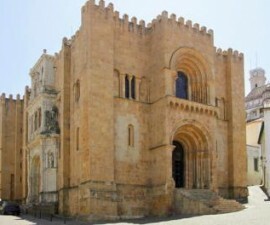 The Bishop’s palace dates back to the later part of the 12th century and other notable buildings on the site include classical loggia from the late 16th century and the Sao Joao de Almedina church, which was built in the late 17th and early 18th century in the popular baroque style of the time. 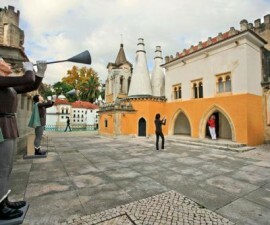 The buildings were declared a national monument in 1910 and the museum opened in 1913. It became an official national museum in 1965. The name Machado de Castro pays homage to one of Portugal’s greatest sculptors by the same name, born close to Coimbra and the official sculptor to the Royal House during the time of Jose I, Maria I and Joao VI. The Machado de Castro Museum is an important collaboration between archaeologists, architects and museographers, and is somewhat unique in its achievements. Recent redevelopment and renovation have transformed the site, renovating the buildings, enhancing their beauty whilst remaining true to their historic value, and providing a new and improved place in which to showcase an important collection of artworks. The collection brings together important ecclesiastical art from across the country and from the Coimbra area in particular, in addition to its historic and architectural value, that it is most notable. Sculpture, paintings, jewellery, ceramics, textiles and tapestries are curated to perfection, showcasing the role of the Christian church through the ages and the importance of its patronage by Portugal’s royal family. 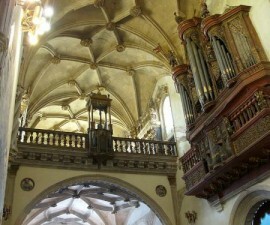 Important pieces include a sculpture of Christ Deposited on the Sepulchre by Joao de Ruao, a 16th century artist who was responsible for various decorative elements of the old cathedral, along with the Collar de la Reina Santa, which is made of gold and precious stones, and the Pietá of Frei Cipriano da Cruz. 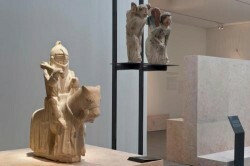 There is also an interesting collection of archaeological and oriental pieces. The Machado de Castro Museum can be found at Largo Doutor Jose Rodrigues, in the old town, and is worthy of a visit for its stunning views over the city as much for its architecture and interior collections. It is open daily for visits to the Roman remains and collections. Closed on Mondays.